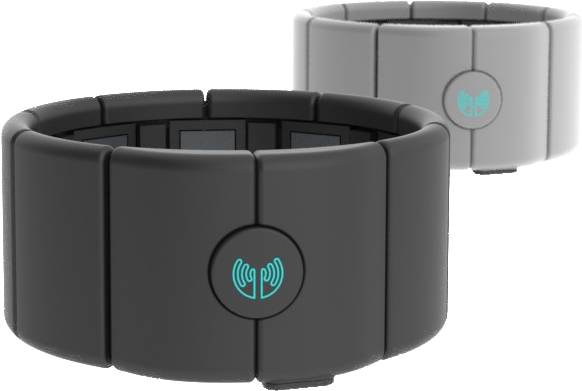 A couple of months back I came across the MYO armband in the news. There was brief description of the product included along with a short history of how it came to be. I read through the article and my interest was piqued, but only marginally. But then I watched the video that they added directly from the developer’s website. Now, not only is my interest piqued, I’m hooked on this thing. For those of you who have not heard of it before, the MYO armband is a piece of wearable technology that allows you to control your Windows or Mac computer. It slides on and sits snugly in the middle of your forearm. This allows the armband to be in a position to register the muscle movements in your arm that act as the input control for the device to your computer. So for example, the armband would pick up on you twisting your hand to the right while balled up in a fist which would send a signal to your computer to turn up the volume of the music that’s playing. Pretty nifty stuff. The video highlights many ways that the armband could be used. It shows someone playing their favorite video game (mine too: Mass Effect) using the armband as the primary control with arm movements. Then there’s a person giving a presentation using the MYO armband to “swipe” between Powerpoint slides in mid-air (the presenter also does some other really cool stuff but I’ll let you watch the video for yourself to see it in action). Another individual is in their kitchen cooking and uses the MYO armband to pause and rewind a cooking video for the meal they’re preparing. Now we can avoid getting all those raw chicken juices all over the keyboard! The next batch of pre-orders don’t ship until early 2014. While $150 is reasonably priced, its more than I have disposable at this time to be an early adopter of it. While I’m in love with and like to think about all the possibilities for using it, as I look at my everyday life it appears that it would be seldom used so the return on investment would be low. This does not discourage me about the prospects for the armband though or the company developing it. I’m not an early adopter (only because of no extra available income, the desire is there) not in a profession that would allow immediate and frequent implementation of the product. So I’m not their target audience. But I am interested in the product and support their desire to be successful. While the product is currently only fully functional with Mac and Windows computers, the developers are working to have it usable with iOS and Android devices. I think this will be critical in order to have a greater target audience of potential users. For more information about the MYO armband, see their website here: https://getmyo.com. What do you think of the MYO armband though and how might you want to use it?